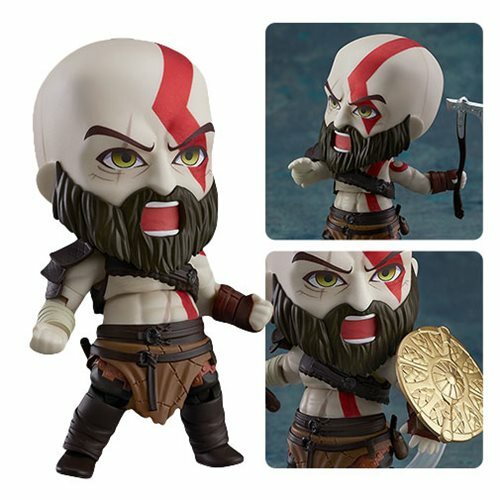 From the God of War game, comes the God of War Kratos Nendoroid Action Figure! Standing roughly 4-inches tall, this fully articulated body features Kratos's uniquely pale skin, detailed with the scars that allude to his past of heroic battles. His costuming has been exquisitely crafted. Both a determined expression as well as a battle expression are included, along with his axe and shield. The axe can be held in his hand, or attached to his back. New Toys and Collectibles: Mezco, McFarlane Toys, Nendoroid, and More!